Veronis Suhler Stevenson projects barter syndication for TV shows to ring up $3.19 billion in 2008, a 4.7% increase over this year�s estimated $3.05 billion. Texas billionaire (and barterer extraordinaire) Ross Perot acquired the famed Magna Carta document that laid the foundation for fundamental principles of English law in 1984, for $1.5 million. Archstone Consulting�s new study predicts sales of holiday gift cards will jump 25%, to a record $35 billion this year, as retailers become more savvy at marketing them (outside their own stores, at supermarkets and drug stores, for example) to time-strapped shoppers. This year�s projected increase would follow last year�s record-breaking gain, when gift card sales surged 55% to $28 billion, according to the National Retail Federation. � Gift cards take up little floor space, yet can generate big sales. � Plus shoplifting is less of a problem, because cards aren�t activated until purchased. � Cultural acceptance has grown dramatically over the last three years. The future of gift cards is the growing popularity of those issued by banks, because they can be redeemed anywhere. U.S. consumers are carrying a record $2,456 trillion in debt (not including mortgages). And the amount of revolving credit, such as for credit cards, is growing at 6% annually. Now, with the recent lower interest rates (from the Fed cut), it�s possible the debt could grow even more. Americans carry 1.2 billion credit cards and more than 44 million households carry balances on those cards of almost $2,500 trillion, that averages $8,025 month-to-month. ITEX Corporation (OTCBB: ITEX) filed its Form 10-KSB with the Securities and Exchange Commission and announced its results for the fiscal year ended July 31, 2007. �Over the past four fiscal years, we have increased operational income and cash flow year over year,� stated Steven White, Chairman and CEO. �During the same period, we increased stockholder equity from a negative $481,000 to more than $12 million, increased revenue 34%, and almost doubled our membership base. �We attribute our growth to focusing our model on cashless transaction processing for small businesses in a unique, vertical marketplace. Our fiscal 2007 results reflect another solid year with gains in key areas including income from operations, operational cash flow, and earnings per share,� he continued. �As a result of our gains and strong cash flow, our balance sheet continued to strengthen in fiscal 2007 with total assets increasing 34% and total liabilities decreasing 27%. Our ability to invest in technology and to initiate new projects in order to grow revenue affords us a firm footing for the future. �During fiscal 2007, we upgraded and expanded the franchise portion of our web site, we retained outside technology and marketing firms to help execute a multi-faceted strategy to increase revenue, and we announced our Executive Privileges Program. �We anticipate that these programs and initiatives will have a long-term positive effect on our operations by expanding our Trading Community member base and increasing participation in our Marketplace,� White concluded. Income from operations increased 12% in fiscal year 2007 to $1,505,000, from $1,341,000 for fiscal year 2006. Operational cash flow increased 12% in fiscal year 2007 to $2,057,000, from $1,836,000 for fiscal year 2006. Total net income increased 31% in fiscal year 2007 to $4,504,000, from $3,433,000 for fiscal year 2006. In fiscal year 2007 and 2006 the firm realized gains of $2,843,000 and $1,975,000, respectively, as an income tax benefit. Most of ITEX�s future tax benefit is now recorded on its balance sheet as a deferred tax asset. Earnings per share (diluted) increased 39% in fiscal year 2007 to 25 cents, from 18-cents for fiscal year 2006. Earnings per share (diluted) from operations increased 14% in fiscal year 2007 to 8-cents, from 7 cents for fiscal year 2006. Cash and cash equivalents increased 458% in fiscal year 2007 to $1,753,000, from $314,000 for fiscal year 2006. Assets increased 34% in fiscal year 2007 to $14,304,000, from $10,663,000 for fiscal year 2006. Total liabilities decreased 27% in fiscal 2007 to $1,974,000, from $2,695,000 in fiscal year 2006. ITEX repurchased 438,000 and 1,050,000 shares of common stock during fiscal years 2007 and 2006, respectively. There were 17,918,632 total outstanding shares as of October 2, 2007, with no outstanding options or warrants. The firm completed more than $270,000,000 in ITEX dollar transactions by processing 314,000 transactions in fiscal year 2007. ITEX Corporation�s report on Form 10-KSB can be found at www.sec.gov, and on the investor relations portion of its web site at www.itex.com. 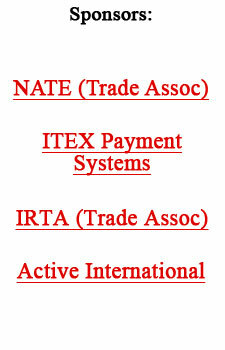 The Board of Directors of the International Reciprocal Trade Association named Ron Whitney as the IRTA interim Executive Director at their Savannah (GA) meeting that was held on September 9, 2007. Whitney has 15 years experience in the barter business. He founded and built Barter Network, in Chadds Ford (PA), into one of the largest organized trade exchanges on the east coast. �I will initially focus on building the IRTA membership base and creating new ways to further expand membership services,� stressed Whitney. He holds a BA in Political Science from George Washington University, and a JD from Widener University Law School. He also is the U.S. barter industry�s liaison with the U.S. government, serving on the IRS�s business advisory group, IRPAC (Information Reporting Program Advisory Committee). Ron replaces Krista Vardabash who resigned as IRTA Executive Director after seven years of distinguished service. IRTA represents and serves the modern trade and barter industry, which is dedicated to monetizing excess business capacities that bring additional revenues and profits to the industry�s 400,000 worldwide business clients. The IRTA stated mission is: To provide to its members an ethics based global network for the enhancement of trade and alternative capital systems, through ongoing education, self regulation, and standards development. International Monetary Systems (OTCBB:INLM) has released sales volume and revenue figures for August. Following the pattern for most of this year, the company had substantial increases in gross revenue, trade volume and client enrollments. � Trade volume for the month totaled more than $8.6 million�representing sales only�an increase of 81% over the $4.7 million in August of 2006. � Gross revenue billed was $1.2 million compared to $628,000 for August of last year, a 91% increase. The August revenue also was $100,000 higher than the average gross revenue for the previous four months. � New-client enrollments set an all-time record with 320 new members joining the barter network this August, representing an increase of 68% over the 190 new members signed the previous August. We have added a category in our blog titled Big Ticket Barter which will list products and services of high value. Donald Trump has made hundreds-of-millions of dollars over the years through the creative use of barter (trading on the Trump name and its panache). His latest effort is with the Ocean Drive Media Group which published a dozen magazines for wealthy readers. The new glitzy magazine titled Trump will be published quarterly and sold for $5.95 in airports, bookstores, and newsstands. The initial press run will be 100,000 copies.